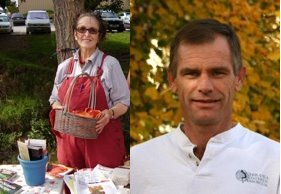 A live call in radio show hosted by Bertine Loop, a master gardener, and Bob Henrickson, with the Nebraska Statewide Arboretum, every Wednesday from 11:00 to noon on KZUM, 89.3 FM, Lincoln, NE. Listen live every Wednesday online at www.kzum.org or listen to podcasts of past shows. The show promotes local garden clubs and events, sustainable agriculture, local food, and a celebration of what we like to call beneficial landscaping. Visit How’s It Growin’? on Facebook.